From launching your latest product to reinforcing your business’s mission. 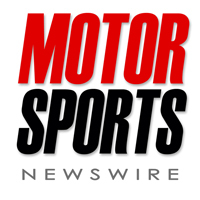 Motor Sports Newswire is a specialist in the distribution of corporate communications for the motorsports industry. We have the ability to get you heard, get you watched and connect you to the world! Our mission is to discover and share the latest in communications technologies with you, so your messages can go further, faster and live longer. CLICK HERE to go to Motor Sports Newswire. The distribution of your Must-Hear Messages is not an expense to be budgeted for. Reaching out to your targeted market is an investment in your business and should be treated as such. Like any investment, it needs to be accurately measured and tracked to determine your ROI. Return On Investment and Personal Service are our watchwords. Delivering this level of service requires a One-on-One approach, this is why we limit the number of Motor Sport Newswire clients. One-on-One personal attention, ideas, plans, action and results is the Motor Sports Newswire Client experience. When you’re a client of the Motor Sports Newswire you will rest assured with the knowledge your communications will reach their intended target, on time, every time. Media Relations expertise. Our staff of professional media relations experts continuously expand and deepen relationships with all types of media so your message gets delivered where you want, when you want, how you want. Motor Sports Newswire firmly believes in continuing education, focusing on the latest technology and communication methods. Access to the most robust communications distribution network available in the motorsports industry reaching. Have your News and/or Product Release delivered straight to Leading Trade and Consumer publications – online and off. Personalized assistance to help you spot errors and advise you of the best methods to target and distribute your message, so it reaches the audiences you want to reach in the most effective and efficient manner. Contact Us Today for complete information about becoming a client.